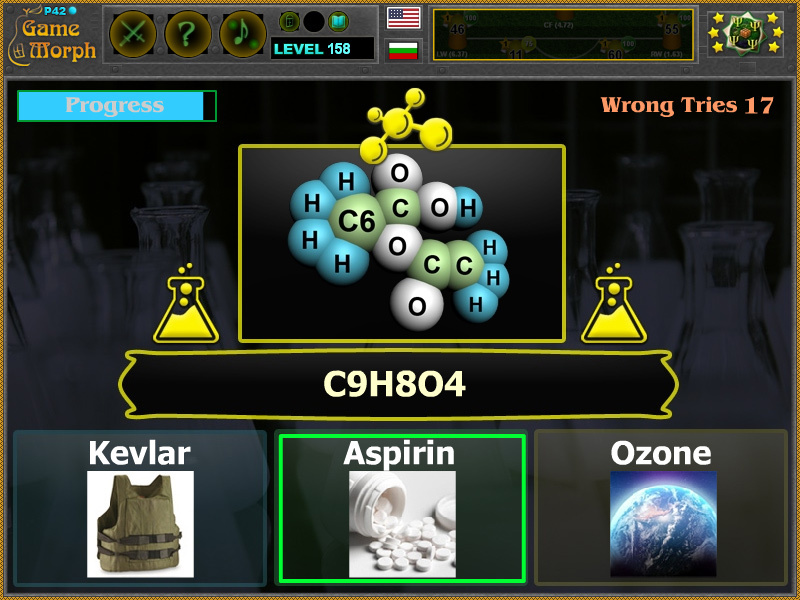 15 fun molecules of popular chemical compounds in a fun online chemistry learning game. 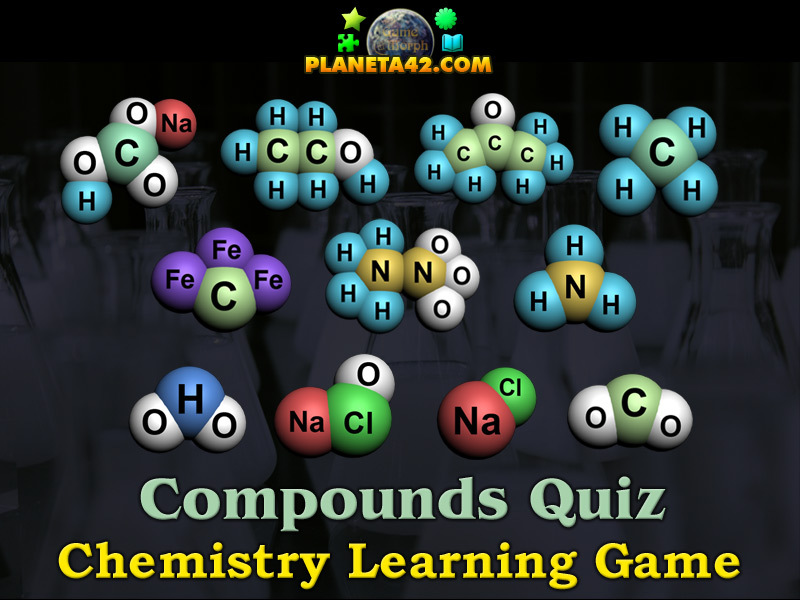 "Chemical Compounds Quiz" is a free online knowledge level game to study the chemical elements and bondings with 3D pictures. Select the correct name of the chemical compound molecule on the picture. Chemistry learning game, suitable for online lessons and interactive classes. Fun educational chemistry game. The Chemistry Knowledge Board include 15 compounds to play with. The game is part of the Interactive Chemistry Laboratory educational tools. Game code and pictures by Ogo Bob. Background image by pixabay.com. You will see the 3D representation of one of 15 popular chemical compounds molecule used in every day life. Under it is the simple chemical formula of the compound. And at the bottom, there are three compound names and refering photo. Choose the correct name to pass to the next compound molecule. The wrong choises will be removed from the game and add one wrong try point. Pass 15 chemical compounds to win the game. Know at least four chemical compounds and get +1 Knowledge Level. A chemical formula is a way of expressing information about the proportions of atoms that constitute a particular chemical compound, using the standard abbreviations for the chemical elements, and subscripts to indicate the number of atoms involved. For example, water is composed of two hydrogen atoms bonded to one oxygen atom: the chemical formula is H2O. What is the chemical formula of the kevlar? How does alcohol molecule looks like? What is the chemical compound of the aspirin? Labels: Chemistry Games , Quizzes , Chemical Compounds , Online Tests , Education Games , Free Online Games.